Get the latest information on public ramp access to Falcon Lake. Status, hazards, and directions. 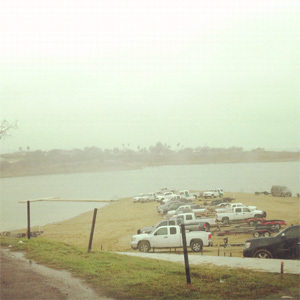 The Zapata County Boat Ramp is open and 2 wheel drive friendly until the low 250’s. Once the water levels dip into the mid to low 260’s the County Ramp gets very flat and having somebody to help you launch is a big plus. There is no real need to park on pavement unless you like the long walks at this current level. (260’s – 280’s) Parking perpendicular to the pavement in the dirt is preferred. 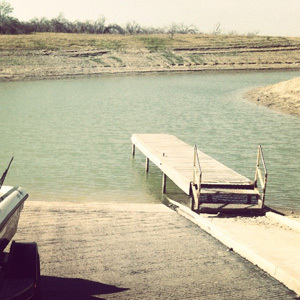 The Falcon State Park boat ramp is currently open and is good until lake levels approach the mid 260’s. Once levels dip below 265 boats can only launch from the shore. (rocky/gravel points) A 4×4 vehicle is highly recommended. It is always good to have a tow rope or two handy for you are somebody else that may get stuck. (trust me I have been on both sides of this coin) Park entrance fees are $2 per person in your vehicle.